What is a hero? It’s a simple question, yet the word has broad definitions. The preliminary naval bombardment began at exactly 0700 hrs. (7 a.m.) As red-hot shells sailed overhead peppering the distant shore and pulverizing Japanese held positions, the smoke created by the explosions obscured the distant beach. From their landing crafts bobbing in the waves off shore, the men designated to be part of the first wave of invasion forces wondered if it would be enough to “soften” the landing area. Some vomited; partly from seasickness, mostly from nerves. Others prayed. For many, such as Sergeant Lawrence J. La Croix, of Georgiaville, this would not be their first time in combat, and they knew that luck was almost as important as skill when it came to staying alive. It was January 9, 1945, and the Battle of Luzon had officially begun. La Croix was part of a communications company in the 43rd Infantry Division. Once on shore, it would be his job to establish communication lines between the beaches and the troops moving inland. It was dangerous, but important work. To increase the chance of success, an officer had divided the company between two boats, knowing they would have to run a gauntlet of enemy fire on their way to shore. When it was time, dozens of landing craft carrying hundreds of men began their run towards the beach. Enemy artillery, untouched by the preliminary bombardment, began firing from inland positions, hurling screaming shells at the oncoming forces. Huge geysers of water shot skyward as the shells fell around the boats. There was no way to know where the next round would fall, and those that found their mark blew both ship and men to eternity. Turning back was not an option. The two boats containing men from La Croix’s company continued in side by side with shells dropping all around them. As they neared the beach two mortar rounds struck La Croix’s boat, but miraculously nobody was hurt. When a round hit the other boat it killed one man and wounded several others. Despite being hit twice, La Croix’s boat continued at full speed towards the beach. As soon as the hull scraped against the sand officers began shouting orders. The troops did as they were told, scrambling out of the relative safety of the landing craft and into the hellfire that was the beach. In the midst of exploding artillery and flying bullets, La Croix and his men set about their work. Lawrence La Croix was a native of Smithfield, born in 1922, the fifth of eight children, and the son of Smithfield’s former Chief of Police. He grew up in Georgiaville, attended Cook School on Farnum Pike, and later went to LaSalle Academy in Providence. He took a job as a weaver at the former Esmond Mills, and became a volunteer member of the Georgiaville Fire Company. He was still a teenager when the attack on Pearl Harbor pulled the United States into World War II. Like many young men of his era he wanted to do his part, and enlisted in the Rhode Island National Guard, which was later activated for federal duty, and merged with units from Connecticut and Massachusetts to form the 43rd Infantry Division. The 43rd saw action throughout the South Pacific, fighting at places few from Smithfield had ever heard of; New Caledonia, Bougainville, Munda, Rendova, just to name a few. During his twenty-eight months overseas Sergeant La Croix became a battle-hardened veteran. By the time he took part in the invasion of Luzon, (A large island in the Philippines.) he was an “old man” at 23 when compared to the peach-fuzzed teenagers fresh from the states. The battle for Luzon lasted for weeks, but shortly after the invasion the La Croix family received word that Lawrence had been killed. A local newspaper reported that he had died within five minutes of landing on the beach. What the article didn’t state is that La Croix could have been home on leave in Georgiaville at the time of the battle, but he chose to allow a close friend from Massachusetts to go home in his place. The reader should stop and think about that for a few moments. Here was a man who had been serving in overseas combat away from home and family for more than two years. He had certainly earned a furlough, and no doubt wanted the chance to see his loved ones, for the possibility existed that he might never see them again. Yet despite his own wants, he put another’s needs above his own, and told his friend to go home in his place. Would you have done the same? According to La Croix’s younger brother Ed, who still lives in the family home in Georgiaville, the reason was because his friend had been wounded four times already, and Lawrence felt that with the invasion of Luzon coming up, the man’s luck might be running out. His friend’s wife was also about to have a baby. There is a special bond that develops between troops in combat, and Lawrence probably saw it as a way of protecting his buddy. His sacrifice was not in vain, for his friend survived the war, lived a long and fruitful life, and the child didn’t have to grow up without a father. The man (Who will remain nameless to protect his privacy.) never forgot La Croix’s selfless act of kindness that arguably saved his life. One thing Edward La Croix has always wondered about was the final resting place of his older brother. After the war the family had tried to get information from the army so that his remains could be repatriated to Smithfield, but were unsuccessful. In more recent years he sought the help of Rhode Island politicians who said they would look into it, but never got back to him. A recent inquiry with the American Battle Monuments Commission in Washington, D.C., revealed that Sergeant La Croix is listed on a monument in Manila American Cemetery in the Philippines, but he is not buried there. The same is true for others in the 43rd Infantry Division who died on the opening day of the battle. Further research by a helpful government records clerk revealed that La Croix was buried at sea by what the military termed, “administrative decision”. The clerk explained that human remains decompose quickly in the tropics, and with the battle of Luzon dragging on over a period of weeks, many casualties were buried at sea out of respect for the dead, and the health and safety of the living. This information might be of little comfort, but at least the long-time question has been finally answered. 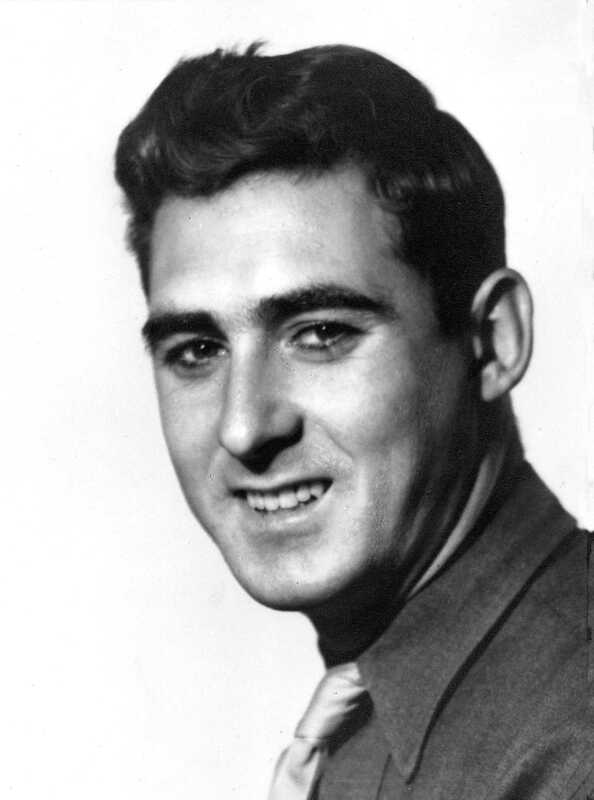 Sergeant La Croix was the first from his communications company to be killed in action on Luzon. 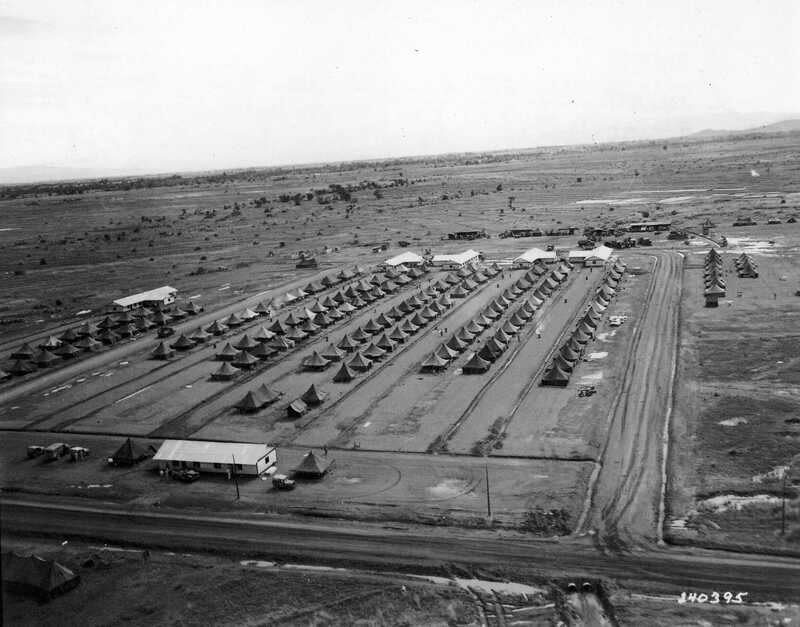 In honor of his sacrifice, the former Cabanatuan prison camp on the island was later converted to a rest camp for men of the 43rd Division, and was re-named Camp La Croix in his honor. The former commanding officer of the 43rd Infantry Division, Major General Leonard F. Wing, was once quoted as saying, “Some division in the army may have had as good communications as the 43rd, but no division anywhere ever had any better communications”. This was a fine tribute to men like Sergeant La Croix who risked their lives laying telephone wire across battlefields to ensure the rapid and accurate flow of information. What is a hero? It’s a simple question, yet the word has broad definitions. Sergeant Lawrence J. La Croix certainly met the standard of all of them. Filed Under: Articles Tagged With: 43rd Infantry Division History, Battle of Luzon, Camp La Croix, Camp La Croix Luzon, lawrence J. LaCroix Smithfield R.I., Sgt, Sgt. Lawrence J. La Corix Smithfield R.I.